THIS IS THE ONE!! ONE level, FLAT yard, in one of the most desired neighborhoods in town! Completely remodeled from top to bottom with all new flooring, paint, trim, and Corian countertops. This house backs up to a lovely meadow so you can sit on the screened porch and look out at the view. 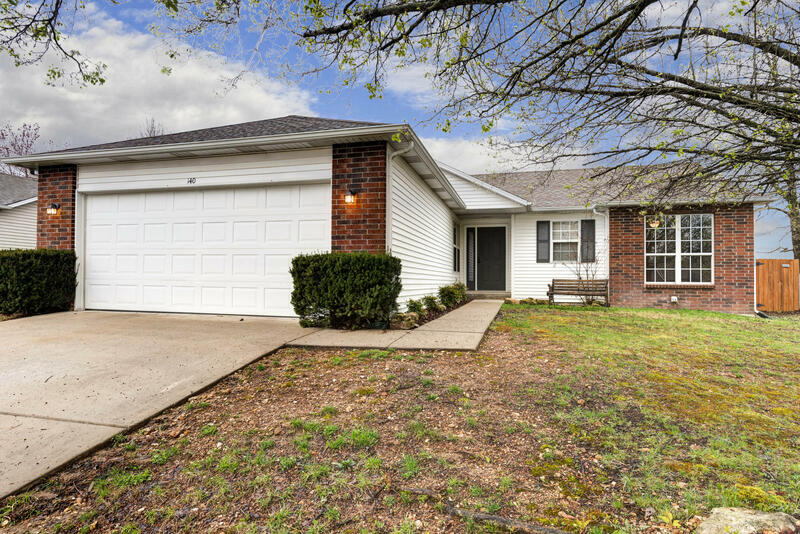 Located in the perennially popular Meadow Ridge/Horizon Hills, this north side location is super close to The Highroad, 65, Branson Schools, and shopping. Just down the road is Roark Creek, the Ruth and Paul Henning Conservation Area, and the Ozark Mountain State Park. This is the perfect place to call home! Comes with a home warranty!! Seller will pay up to $4k in closing costs!